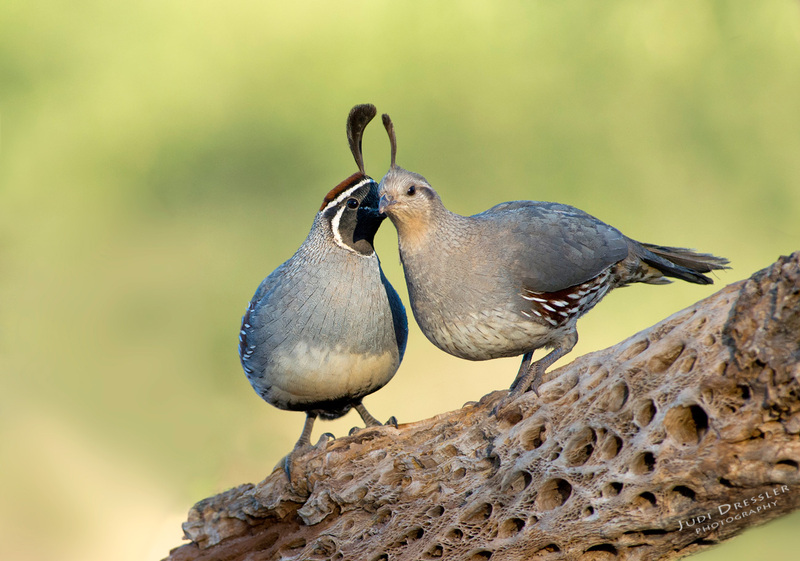 This is my favorite pic of a Gambel’s Quail couple. Taken in Arizona on a dead cholla cactus branch. I believe he is whispering sweet nothings into her ear. It was after all springtime, when love is in the air and courtship is taking place everywhere in the animal kingdom. It was early morning and the light was perfect.